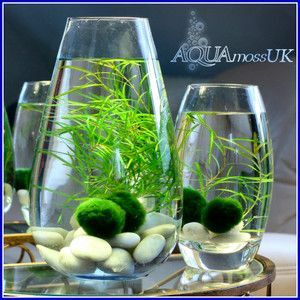 Buy a couple of those Marimo moss balls, they kind of look like moss covered rocks. 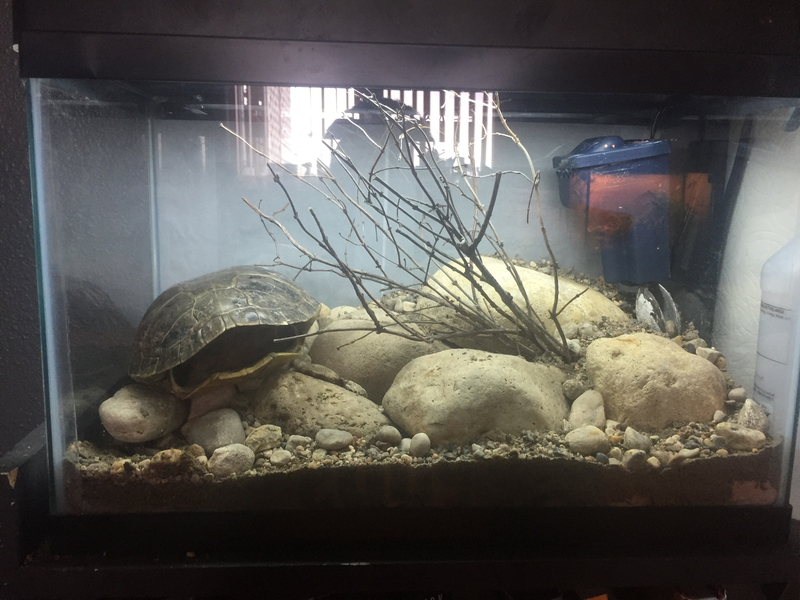 My almost 9 year old wants a turtle for her tank. Is the turtle shell real or ceramic? If real, it will fall apart pretty quickly under water, and may also release more phosphate than you want. 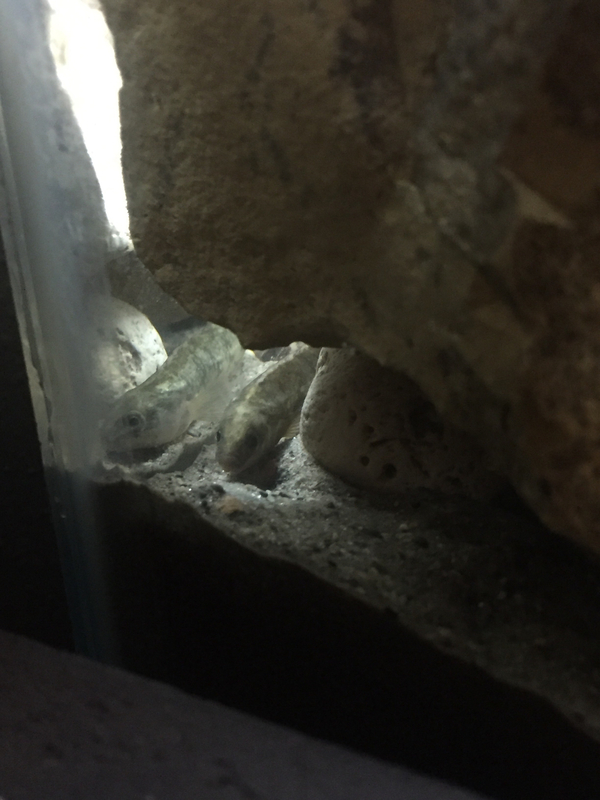 Best blue-green slime bloom I've ever had (and I've had lots of them over many years) was the time I had brilliant idea of using hollow beef bones as caves for some brackish-water gobies. 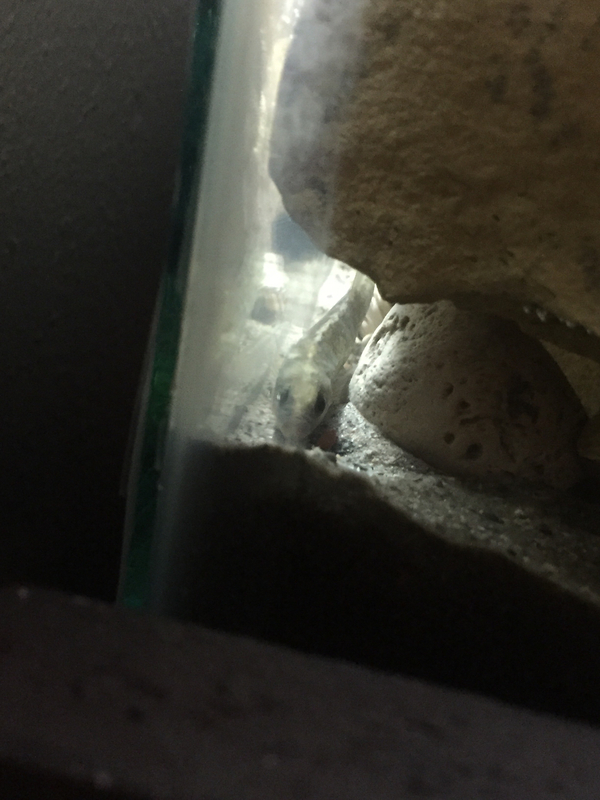 The tank looks good, cool fish! Good luck with them! Most people find fish-keeping ... in moderation ... to be a harmless and fun hobby. It's usually only when you get to 400+ tanks that need 30+ hrs of maintenance per day that it becomes problematic for family and friends. 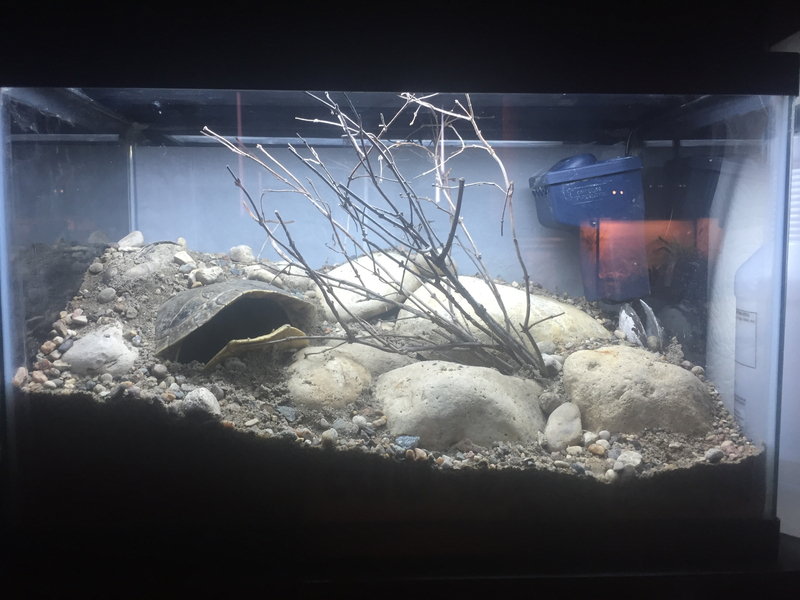 Pardon me for prying, but why is your dad against you having an aquarium? Looked great while it lasted. For someone in high school facing the hurdles you are facing you did a great job.